The All Nations City Church is part of the Foursquare Gospel Denomination* in New Zealand and globally. Reach, teach and empower others through Jesus Christ. We’re all about people because God is all about people. One of the ways we express our love for Him is through our passion for people, and we do that by helping each person who comes to All Nations city Church grow in their relationship with the Lord. It begins with our vision to see people reached through salvations teach them the word and empower them through Jesus to serve. The church is so much more than a service on the weekend. It’s about connecting with other people, growing in your faith, and building a strong foundation for your family. We desire to work as one family to serve in His kingdom. We want every person to have the opportunity to use is the God-given talent to serve. is the Saviour, Baptizer with the Holy Spirit, Healer, and Soon-Coming King. a family church where we seek to love God and love one another. Please feel free to join us at our Sunday morning service where like-minded people come together to worship God and encourage one another in the Christian faith. Our messages are aimed to provide a sound Biblical foundation upon which we can build, as we desire to be transformed by the Holy Spirit. All Nations City Church is a family community where people truly care and work together to encourage one another to reach the potential that God has placed within each of us. There are many different ministries available to provide opportunities for the outworking of our God-given talents. Children are also very welcome to participate in the dynamic Children’s Church that runs during the service. In obedience to a call from the Lord, Pastor Theo and his wife Manju together with their three children migrated to New Zealand from Sri Lanka in the year 2001. They left behind lucrative jobs and totally trusted the Lord for guidance and provision. This was a massive move of faith which also fulfilled a prophecy given by a man of God who had prayed over them. The prophecy clearly outlined the move to a country that had four stars in its flag, consisted of two islands and had volcanic activity. However the Lord did not reveal the name of the country at the time. While in Sri Lanka Pastor Theo was actively involved in Christian Ministry for several years in addition to being leader of the Full Gospel Men’s Fellowship of the Colombo Chapter. A year after settling in their adopted country the Nayagam family started a home group affiliated to the East City Elim Church. The Falkiner family from Canada also joined the group. 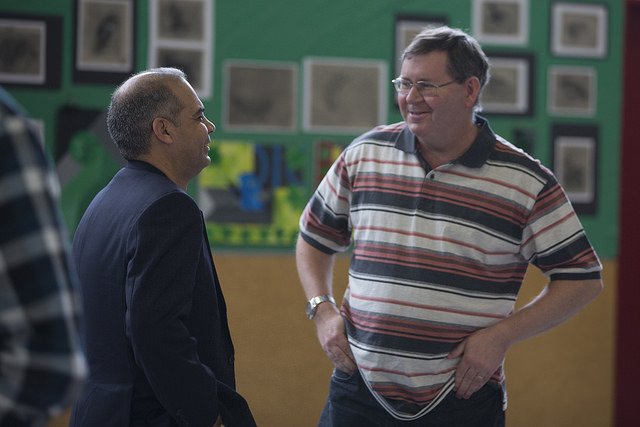 Both families worked closely together and their efforts saw the advent of the first Four Square Church in New Zealand. The congregation met at a primary school hall each week. In the year 2007 the Lord spoke to Manju in a vision clearly showing a city, people and Pastors Theo and Robin ministering in partnership. Both families took the matter to the Lord in prayer for a whole year. In April 2008 Pastor Theo and Manju took another step of faith in planting a new branch of the growing Four Square Church in New Zealand. They were well supported by Pastor Robin John and his family who by this time had moved to New Zealand for a brief period. 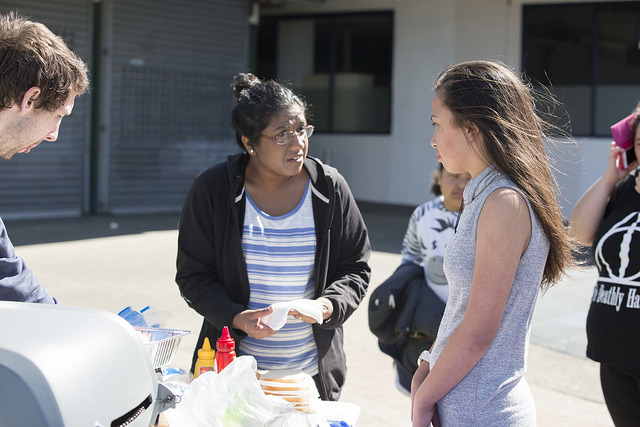 The vision of the All Nations City Church was for the city of Auckland and New Zealand to hear the good news and be transformed by the love of Jesus Christ. The church is committed to this vision even today, Pastor Theo who is reliant on God’s strength and grace on a daily basis is passionate about serving the Lord and His people. In September of 1982 he was ordained by the Foursquare Gospel’s Director of Foreign Missions Dr Leland Edwards and subsequently appointed the President of the denomination in Sri Lanka in April 1983. Under his leadership the denomination grew from 2 churches in 1983 to 1,800 Churches Island wide at the present. While presiding over the denomination, Leslie also pioneered the headquarters church called the “Living Way Church” twenty years ago and currently serves as the senior Pastor of this Church, which has a congregation of over 1,000 members. He also started the LIFE BIBLE Institute in Colombo, Sri Lanka in March 1986 which presently has 20 extension centers nationwide and an enrolment nearing 1,000 students. Leslie serves as President of this Institute and teaches in it regularly. Dr. Leslie Keegel’s ministry has been characterized by the free flow of the Holy Spirit with the operation of the gifts of the Spirit. His preaching has been accompanied with physical healings and miracles. Many thousands have been set free from demonic bondages and from the crippling power of witchcraft. He is an exemplary leader who is a living model of servant leadership. 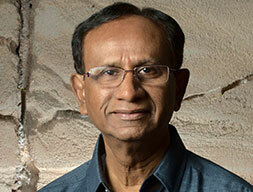 He is a discipler of men and women and is a very fruitful Church planter for the past 34 years. India, Pakistan, Nepal, Bangladesh and Sri Lanka. He travels within this region as a mentor to the national leaders and trainer of emerging leaders. During his tenure of leadership he was instrumental in helping start the Church in Bangladesh through evangelism and Church planting. Since its inception in 2002, the Foursquare Churches have grown to a ministry of over 180 churches in this nation and it continues to grow. Dr. Keegel conducts training Institutes in Colombo for emerging leaders regularly to equip young potential men and women within the South Asia region. In 2006 October, Dr. Leslie Keegel was elected as Chairman of the Eastern Council of Foursquare Churches. The Eastern Council of Foursquare Churches is the Asia/South Pacific arm of Foursquare with 22,000 Churches in 31 nations. His role as Chairman of ECFC is training young people, motivating leaders, strategizing to open new countries, training and sending missionaries. In this capacity he also serves as an executive member of the Global Council of Foursquare Churches, representing the whole of Asia. The International Church of the Foursquare Gospel is in 144 nations of the world. The International Board of the Foursquare Church observed Dr. Leslie Keegel’s leadership skills, fruitfulness and God’s grace at work in his life and honored him as a Nation Changer at the denomination’s convention on May 2001 in Jacksonville, Florida. He was simultaneously conferred a Doctorate of Divinity for his immense accomplishments in the South Asia region. Dr. Leslie Keegel is also involved in interdenominational leadership in the country of Sri Lanka. He was the President of the Colombo Theological Seminary from 1998 to 2004 and served as President of the Evangelical Alliance of Sri Lanka from 2000 – 2003. 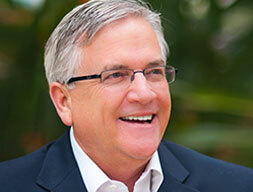 He has resumed a new term as President of the Evangelical Alliance from July 2009 for a second term. He is a featured speaker at international interdenominational conventions, Leadership conferences, camps and city wide miracle healing evangelistic rallies.Dr. 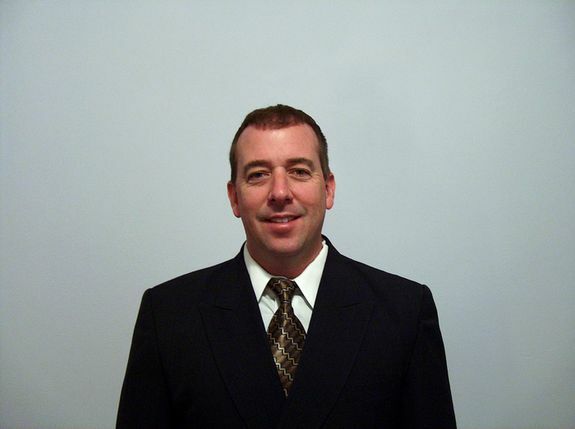 Leslie Keegel completed his second Doctorate in Ministry in 2011. His dissertation focused Ethnic Reconciliation and he graduated with honours. Leslie Keegel’s appointment as chair of the Foursquare Global Council is celebrated as a major milestone in the movement’s history because it is the first time an international member is chairing this eldering body. 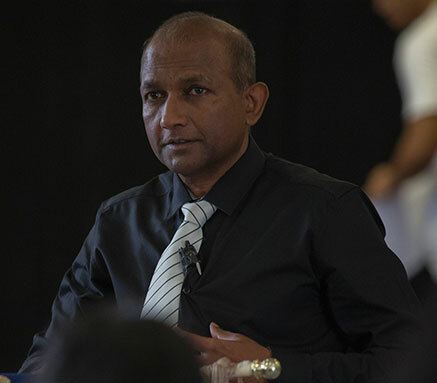 The long-serving national leader of Foursquare in Sri Lanka, Leslie is widely known and respected for championing church growth through Spirit-empowered ministry and for having brought key prophetic words to past Foursquare Connection meetings. He received the symbolic global leadership baton at this year’s gathering in Washington, D.C.
Jerry and Julie serve the Lord as FMI area missionaries in the South Pacific, based in Brisbane, the centre of the South Pacific Region. Dr Jerry and Rev. Julie Stott serve the South Pacific Region of Foursquare Churches as Area Missionaries. Jerry and Julie have been serving Foursquare in a pastoral role since 1984 and serving FMI South Pacific region since 2003. During the years of ministry, Jerry earned a m asters d degree in t theology, a doctorate in p pastoral t theology and a doctorate in s scriptural psychology, with US board certification. Julie earned an Associate’s degree in Pastoral Ministry. In 2003, God called Jerry to full-time missions work for Foursquare Missions International as the Regional Coordinator to the South Pacific Region, now based in Brisbane, Australia. Within the 12 years of serving FMI, they had been based in Jakarta, Indonesia and Sydney, Australia. This region has grown tremendously over the past 12 years, from 1,100 churches to over 23,000 churches and ministries as they both served in this role. When they began to serve FMI in their region, Foursquare was registered in 3 nations and today Foursquare is now registered in 15 South Pacific nations, with more open doors developing every day.